Only two rounds have passed and we already got everything one can expect from the interesting tournament - a sole leader (Ruan Lufei), an unexpected result (in Cmilyte - Yildiz), an opening tabia (two white games of Munguntuul) and of course a lot of interesting ideas on 64 squares! More to follow! 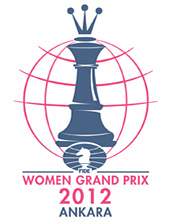 The FIDE Women’s Grand Prix second round started on 17 September. 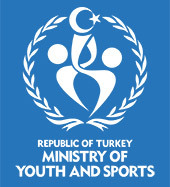 Ankara is very hot these days but the participants seem to get accustomed to the weather conditions and came to the playing hall in good mood. TCF board member Askin Keles made the first symbolic move in the game between Tatiana Kosinsteva and Antoaneta Stefanova. He chose move 1.d4 which impressed both players very much as Tatiana normally doesn’t play it. After small discussion Mr. Keles made the move 1.e4 and game continued. Starting round of the final stage of FIDE WOMEN’S GP in Ankara turned to be really exciting – a lot of tension, unexpected turnovers and a tremendous fighting spirit… In two words – women chess at its best!